Alpha Numbers is Looking to Expand! It’s only been a few months since Alpha Numbers started, and while we’re still trucking along on Iron Leaguer, our first series, we’re looking to expand! When Tilus and I got to talking about getting back into fansubbing (both of us used to be members of Etheria, a group from a long time ago), we didn’t have much luck in finding floating translators so we got our friend Nayuta_Chouta to set aside some of his busy schedule to get us started, and hopefully be able to attract someone on a more permanent basis. So, on that basis, we’re looking to recruit! The hope is to get an additional translator to help Nayuta when real life interferes, and to potentially allow us to start on a second project. As indicated by our group name, Alpha Numbers is based around a community of members who enjoy the Super Robot Wars series and robot anime, so we do have a collection of older mecha shows that we want to do fansubs for, though we’re also flexible and willing to work with prospective applicants regarding what series they’d like to translate. But, as mentioned, if someone has a personal pet project they want to translate, we are also willing to work with them. If you or someone you know is looking to practice or expand their knowledge of Japanese through anime translating, please contact us in the comments below, on our IRC channel at #[email protected], or by sending me an e-mail at big(dot)metto(at)gmail(dot)com. « Whirlwind! Iron Leaguer – 10, prepare to launch! I have the whole series in Italian, but my Italian translator is MIA. If any of you know Italian, this could get done quickly. Actually, this recruitment post is slightly outdated; /m/subs managed to gather together a team for Dragonar and is presently working on it, as per Gunlord’s post above. We’re deferring to them in regards to Dragonar as a result. If you would like to help work on Dragonar, go check out the link in Gunlord’s post and let the team there know about your interest. I’m sure they’ll be thrilled to have another translator on board. 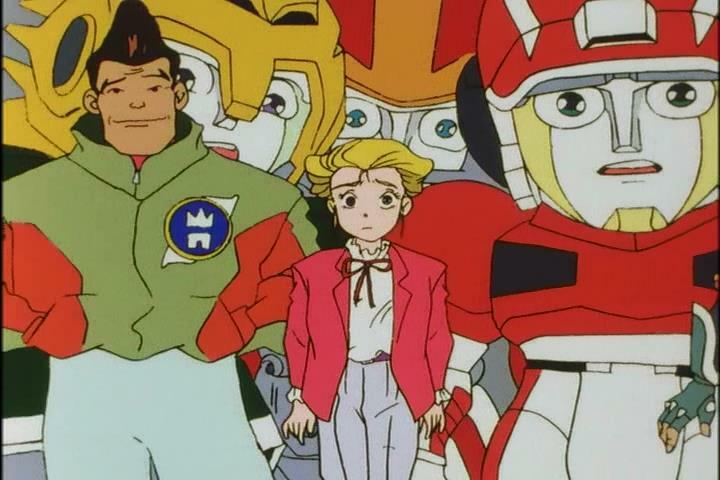 If you would like to work with us on another project, however, we do understand Goshogun was dubbed into Italian back in the day, and if you’re interested in giving that show a go instead, we’ll look into digging up scripts and/or encodes of the Italian dub and seeing how an ITA -> ENG translation with our existing JPN -> ENG translator making adjustments to fit the result with the original Japanese dialogue. We are also open to other mecha-related suggestions if you’re interested in doing something else – the above are merely our “dream projects” that we have all the resources lined up to start up on the moment a qualified translator walks through our door. Just pop into our IRC channel (#alphanumbers @ irc.aniverse.com) if you have interest in translating with us. Whirlwind! Iron Leaguer – 18, prepare to launch! Whirlwind! Iron Leaguer – 16 and 17, prepare to launch! Whirlwind! Iron Leaguer – 15, prepare to launch! Whirlwind! Iron Leaguer – 14, prepare to launch! zabovenaught on Whirlwind! Iron Leaguer – 18, prepare to launch! jony on Whirlwind! Iron Leaguer – 18, prepare to launch! Some Guy on Whirlwind! Iron Leaguer – 18, prepare to launch! Meredith Williams on Whirlwind! Iron Leaguer – 18, prepare to launch! Sharky on Whirlwind! Iron Leaguer – 18, prepare to launch!